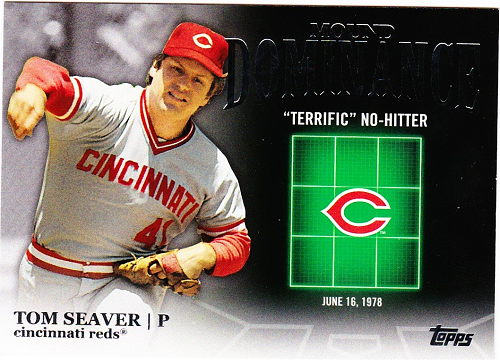 Frank Robinson, Pete Rose, Junior Griffey, Tom Seaver, and Heinie Groh, thank you very much. 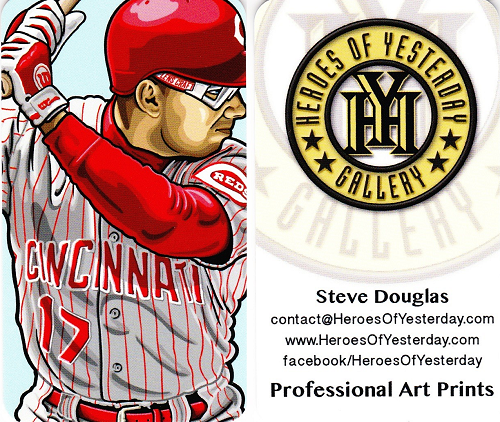 If you have a mancave and want to add a little originality to the walls, check out Heroes of Yesterday for some pretty cool pieces. I really miss Pro Set. 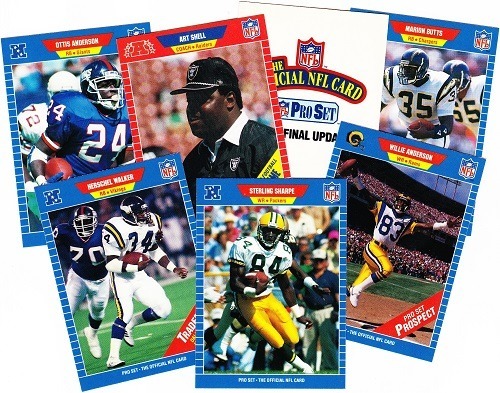 I miss the fun NFL. I hope the XFL lives up to the hype and restores my interest in football. I’m not going to wait another ten years to go back to the Moeller Show, but I don’t think I’ll wait until the last day to go, either. A lot of dealers had already packed up and left, and I’m sure those who remained were picked through pretty thoroughly before I got there. It was still fun, though, and I was happy with the cards I added to my collection. Jeff Idelson, President of the National Baseball Hall of Fame and Museum, added to Manfred’s statement, “After further review, we have determined the actions of former commissioner Bud Selig damaged our national pastime to a greater extent than Pete Rose. 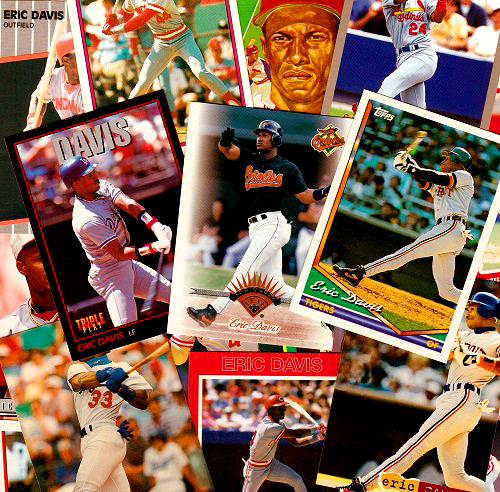 The only way to make it up to the all-time hits leader is to permanently ban Mr. Selig from the Hall of Fame. His photograph will be posted at the ticket booth and he will be denied entry to our grand museum.” In an effort to save money, the Hall of Fame said that they would be removing the plaque of Bud Selig, melting it down and recycling it to make Rose’s 2018 plaque. I don’t post the cards I receive in the mail very often anymore on here. I usually post them to Twitter then put them in the stack to be sorted. I think I will change that, because this blog needs some lovin’. So here is a trade recently completely with Beau of the One Million Cubs Project, who I met via Twitter (@onemillioncubs). 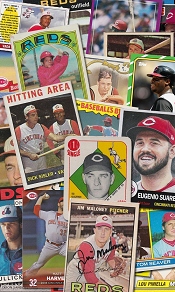 I sent him a handful of Cubbies recently, and he loaded me up with Reds and Reggies. 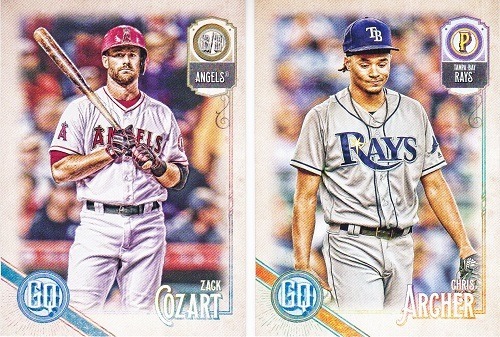 Reggie Jackson is one of the non-Reds players that I collect, and Beau hit a few holes in my collection here. 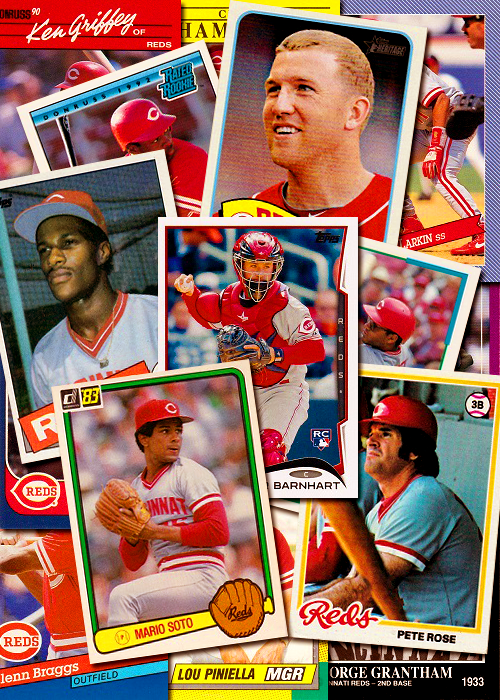 I don’t have an official wantlist, but I believe there are at least four cards in this lot that I didn’t previously have. 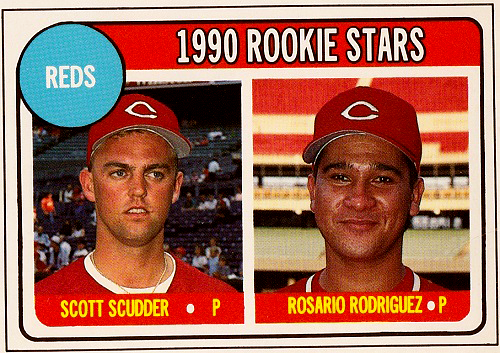 Then there were the Reds. 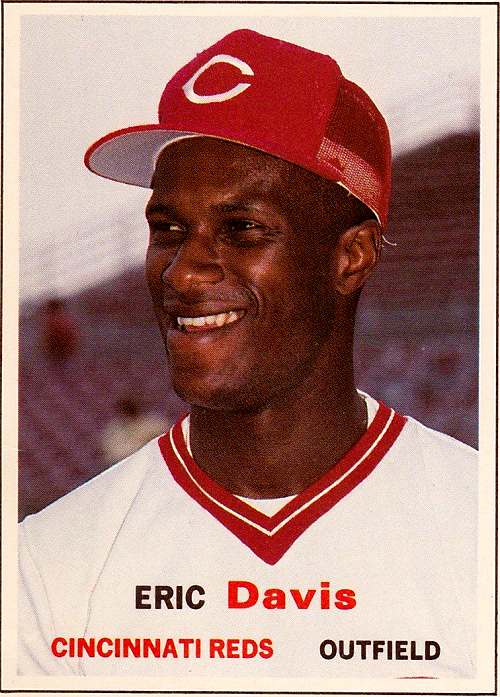 From Eric Davis to Tucker Barnhart to Pete Rose to Mario Soto, Beau scattered the selections throughout several eras of Cincinnati baseball. And it’s always cool to get an autograph, even if you’ve never heard of the guy. Tanner Rainey was a second round draft pick in 2015 and split last year between Dayton and Pensacola, so he’s not a washout yet. 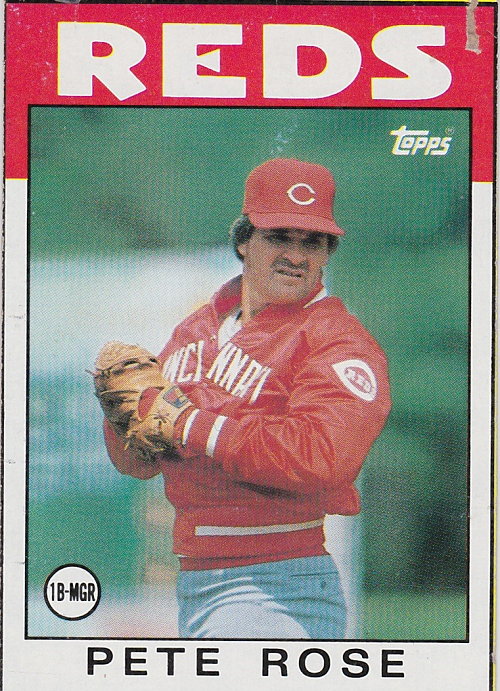 Hope this guy can get to the bigs and help out the Reds…they sure need it on the mound. All of those came on uncut panels with other players, but they will be freed and bindered at some point. Thanks Beau for an awesome trade! 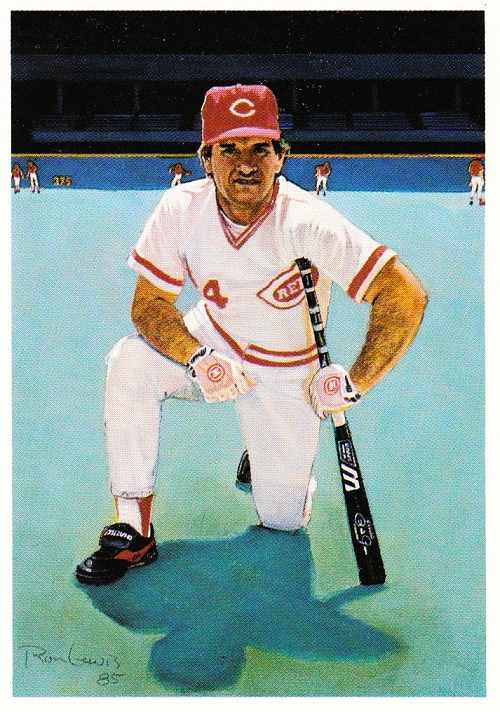 Happy Reds birthday, Pete Rose! 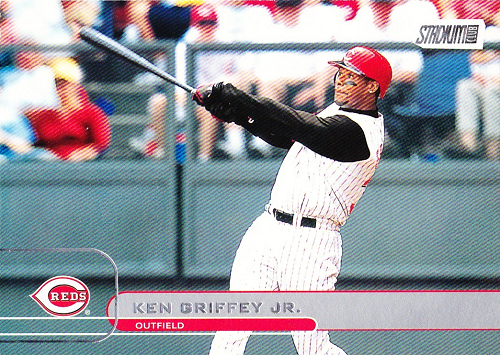 He is the man with the most hits, the most at-bats, the most times on base, the most games played. 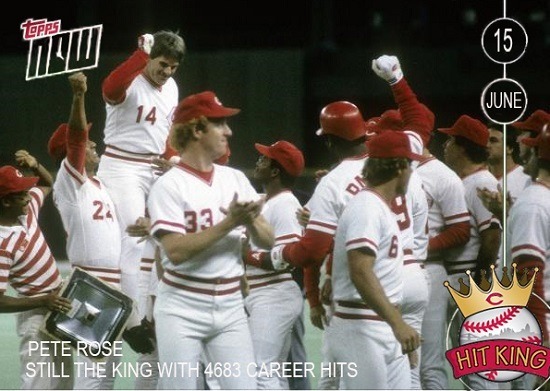 Pete Rose is a Cincinnati institution. 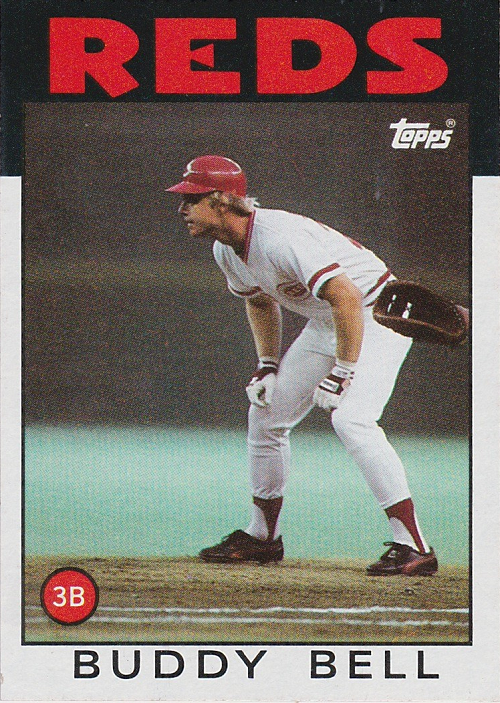 Sure, it took him more plate appearances than Ty Cobb to reach the all-time hits mark, but Charlie Hustle still batted over .300 for his career. The number 4256 may never be toppled. 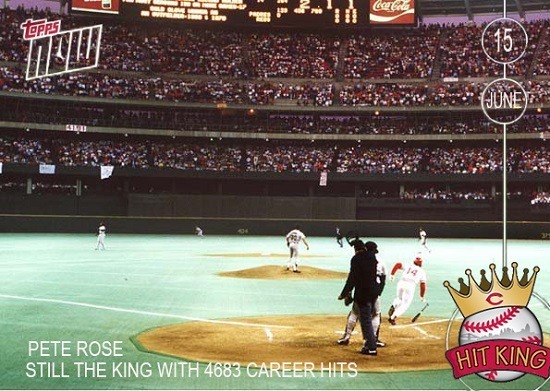 A lot of people made a big deal of Ichiro Suzuki “passing” Pete Rose with his 4257nd hit earlier this month. 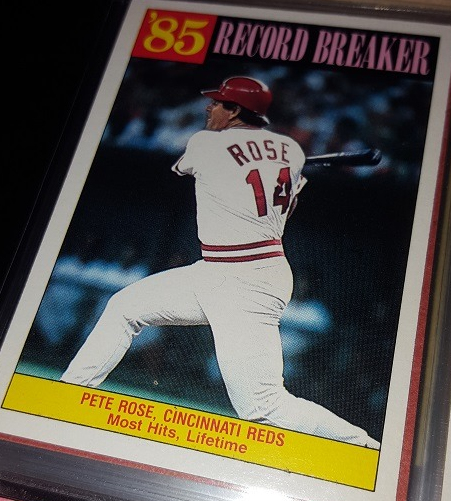 They combined Ichiro’s professional Japanese League numbers with his big league totals, but ignored the fact that Rose had another 427 hits in the minor leagues, which is also professional. 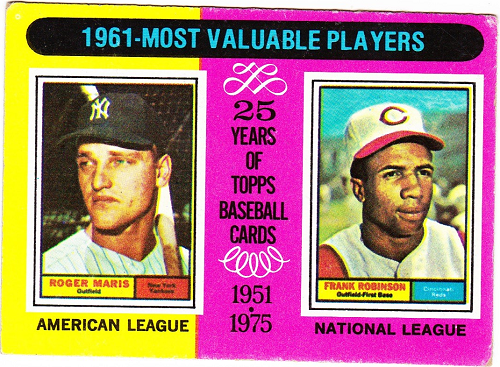 The Lifetime Topps Project did an interesting breakdown of players with more than 4000 professional hits, including not only regular season play in the majors and minors, but also postseason and All-Star appearances. 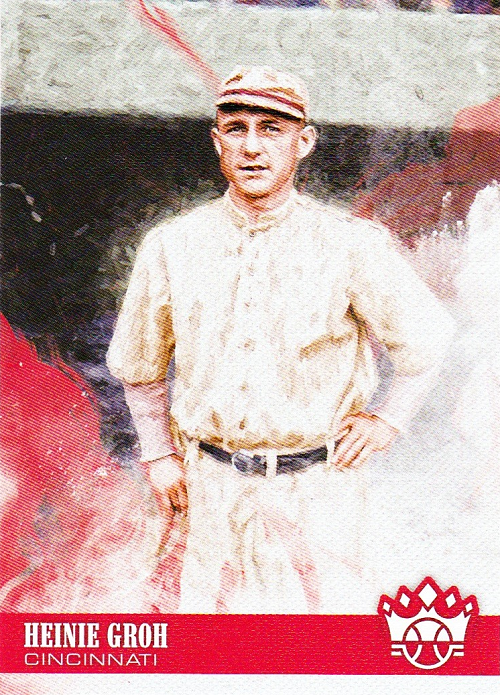 One name stood out more than Rose, Ichiro, Ty Cobb, and Derek Jeter to me: Jigger Statz. 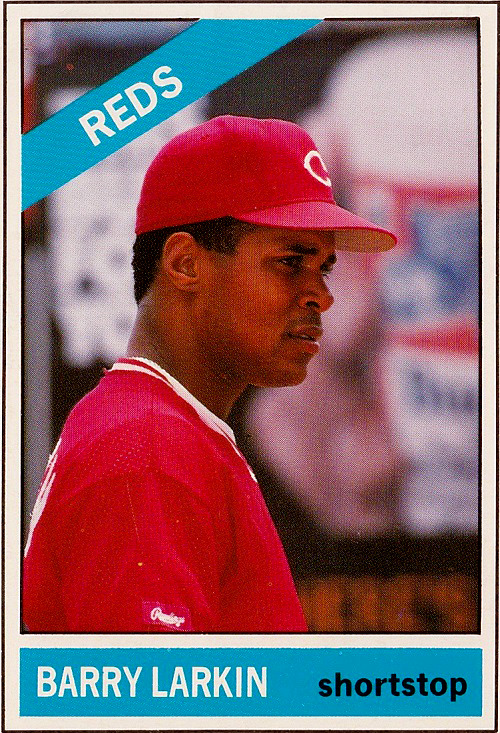 Sounds like a guy that The Infinite Baseball Card Set should profile. I am not denying that Ichiro’s accomplishment is a big deal. It is! But he is not the professional hit king. 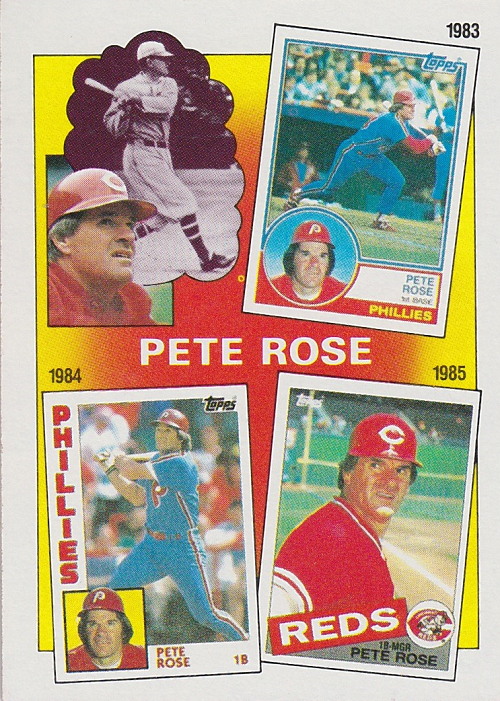 Pete Rose is, and probably always will be. Unless Ichiro sticks around for a few more years, which I highly doubt, he will not pass Rose’s professional regular-season mark of 4683. 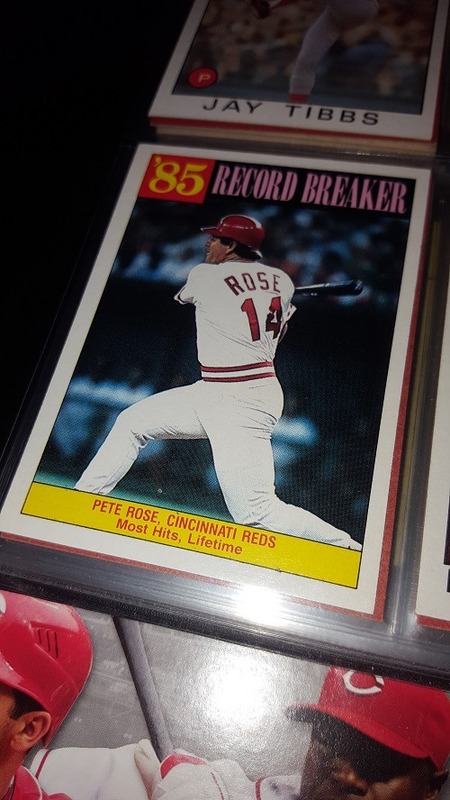 TWJ contributor Patrick sent over a couple of great “fun cards” to remind us all that Pete Rose is still the Hit King, and with the Reds Hall of Fame induction happening this weekend, there is no more appropriate time to post them here. 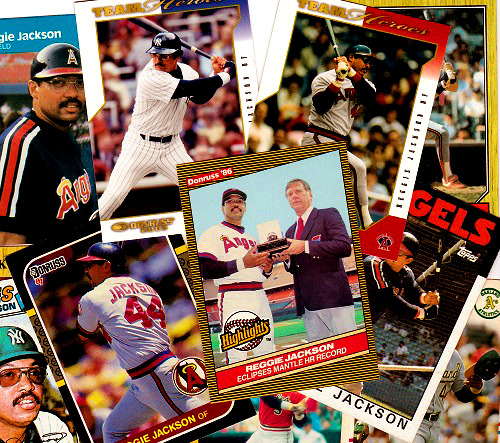 I see Ron Robinson, Tony Perez, Dave Parker, and Max Venable in that shot. Can you identify anyone else? Ichiro’s achievement was commemorated by The Shlabotnik Report recently. 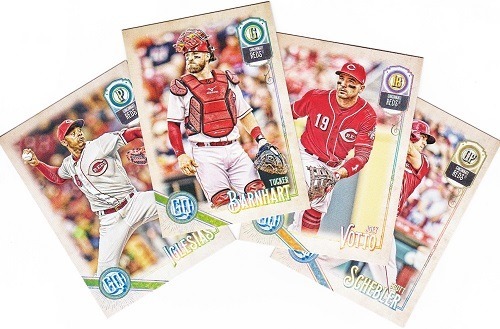 2016 TWJ pre-season baseball cards are here! 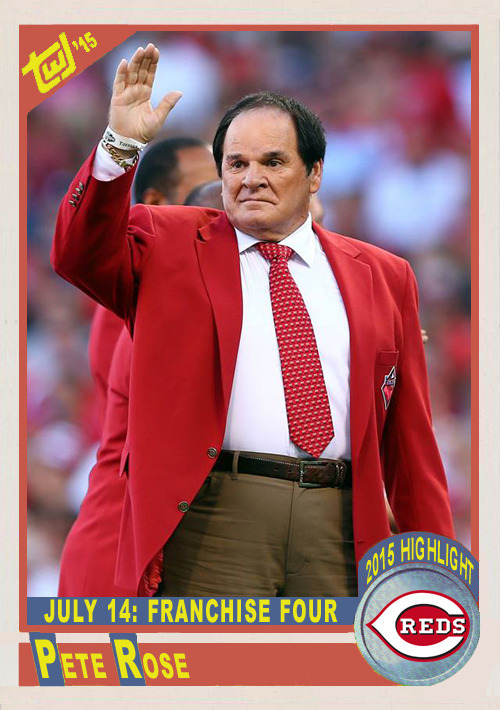 With the announcement that the Reds were inducting Pete Rose into the team’s Hall of Fame this summer, I suggested to TWJ contributor Patrick that he create a 2016 Topps version of Charlie Hustle to commemorate the event. 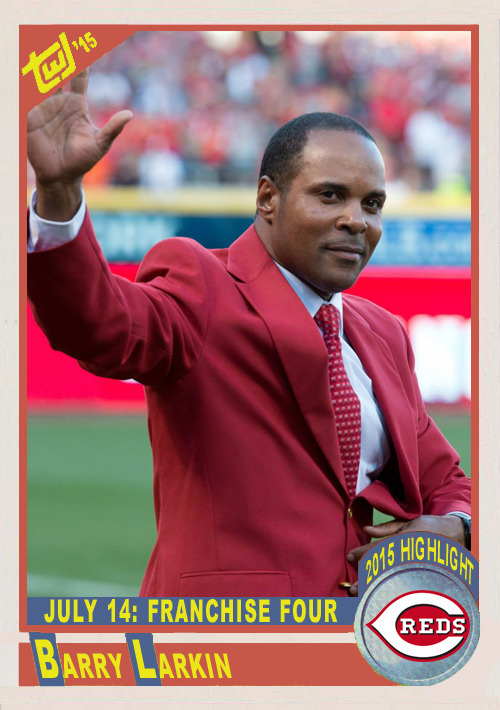 He not only came through; Patrick went above and beyond the call of duty and made two 2016 Topps style cards for the Hit King. 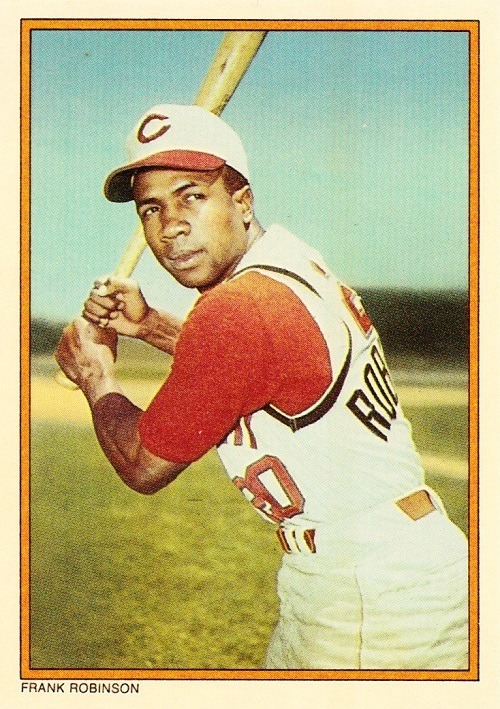 Rose was and still is an icon in the Queen City, beloved by the majority of Reds fans. 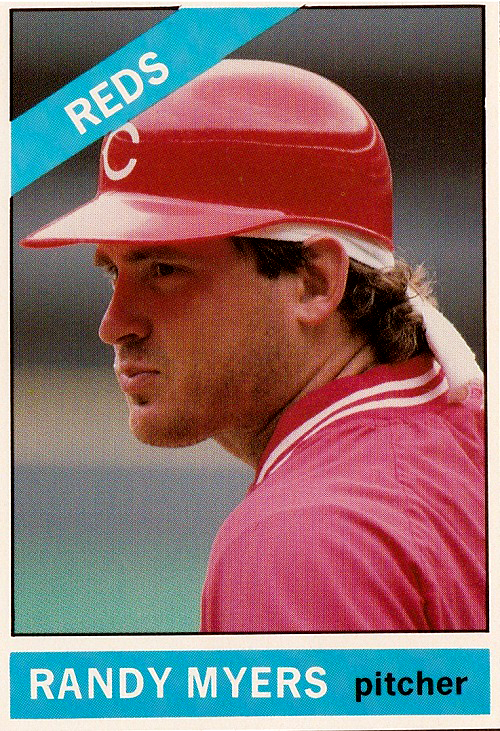 I realize not everyone outside of Cincinnati feels the same way about him; I just think they’re jealous that they’ve never had such a competitor on their favorite team. 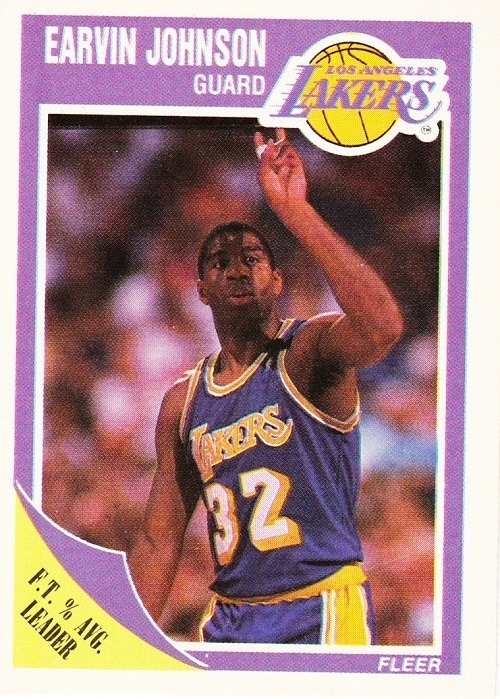 Only one man has donned uniform #14 since Rose retired, and that was his son in 1997. 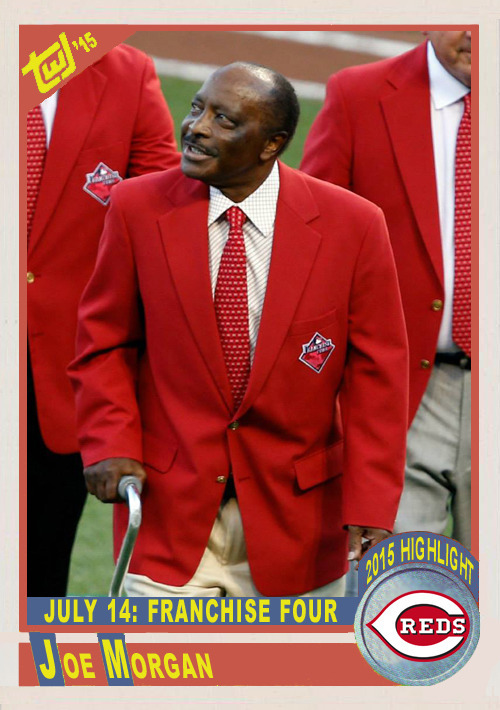 The Reds are officially retiring the number this year, and it will never be regularly worn by another player. Thanks for the quick turnaround on the suggestion, Patrick, and for sharing them with TWJ readers! 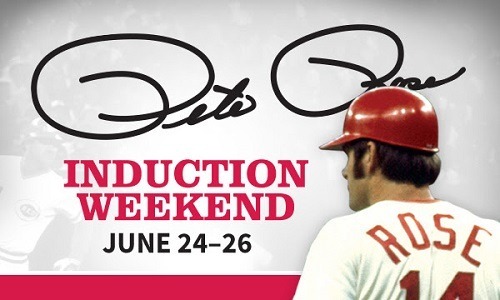 Pete Rose to be inducted into the Reds Hall of Fame during 2016 Reds HOF Induction Weekend, June 24-26. 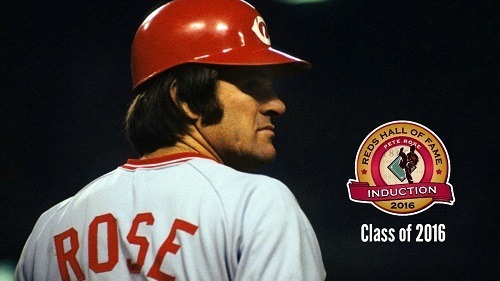 Rose was selected as the sole inductee for the class of 2016 by the Reds Hall of Fame Board of Directors. 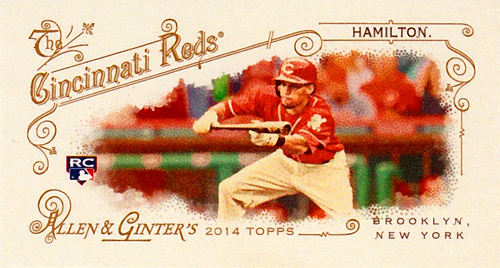 Alright, so technically these are not 2015 Reds…but it is certainly a 2015 highlight for this dismal Reds season. 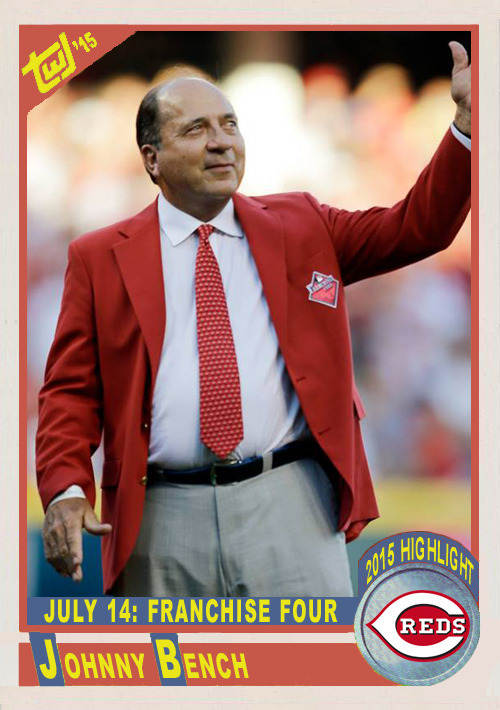 Announced before the 2015 All-Star Game in Cincinnati on Tuesday, Hall of Famers Johnny Bench, Joe Morgan, and Barry Larkin, along with should-be Hall of Famer Pete Rose, took the field to a thunderous ovation as the Franchise Four of the Cincinnati Reds. I was fortunate enough to be in attendance for Tuesday’s festivities. 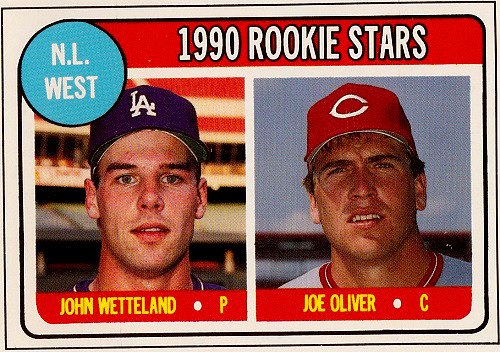 I have to say, if you ever get a chance to attend the MLB All-Star Game, it is worth it. I had an amazing night.